that I was finally able to return to bring you more instructor offerings for CFCF 2013! Welcome! Jana Roberts Benzon emerged onto the polymer scene nearly ten years ago with a distinctive milefiori style all her own. We at CFCF are pleased to have her return yet again, teaching both a pre-conference as well as a 4-hour conference workshop. 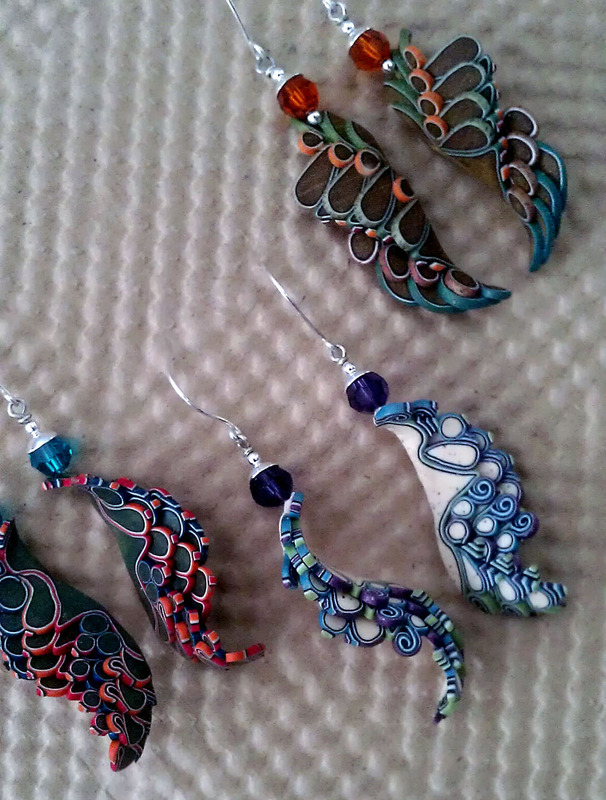 She has worked in several different media throughout her creative life, but her focus turned to polymer clay when she discovered its limitless creative potential. She has been a slave to polymer clay ever since, creating detailed, intricate work from an intuitive, emotional and very personal ‘place’. From those canes, Jana loves creating interesting, dimensional jewelry pieces often evocative of Arabic or old world designs. While she’ll never leave the geometric symmetry of caning, these days she’s having a great time exploring the world of organic forms. Jana teaches workshops internationally, and has been published in numerous online and print media articles and features. She has received awards in several competitions and sells her work through art galleries. She lives and creates in the shadows of the majestic Wasatch Mountain Range of Utah. 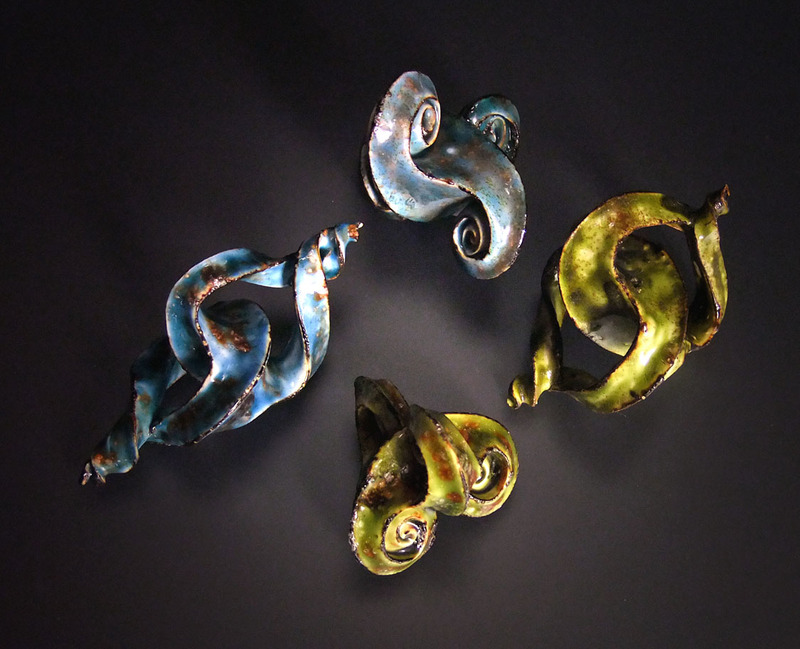 JANA ROBERTS BENZON – GLAZED STONEWARE BEADS (Pre-conference) Sat. 16 Feb.
You’ve long been asking for this workshop, and so Jana is happy to be able to finally introduce it as a pre-conference workshop to Cabin Fever Clay Festival 2013! You’ll begin this workshop by learning to create “sleight of hand”, interesting (and head-scratch inducing!) bead shapes, and then perform the magic required to turn them into convincing faux stoneware (so convincing, she has had ceramic artists think they were the real thing ). Join Jana for some free-flowing-faux fun as we experiment with colors, shapes and finishes, while learning new skill sets to add to your polymer-knowledge arsenal! Oh boy, is this stuff ever fun! This brand new style of Jana’s seems custom made for fluttery, whimsical earrings that change appearance as their wearer moves. While this technique is conducive to pendants, brooches and other décor, we’ll focus on making earrings in varying styles and colors. Be among the first to experience this uber-fun workshop, and join Jana for an out of the box learning experience!